If the new net neutrality rules rules take hold, internet providers would slowly but surely launch a new crop of money-making services. 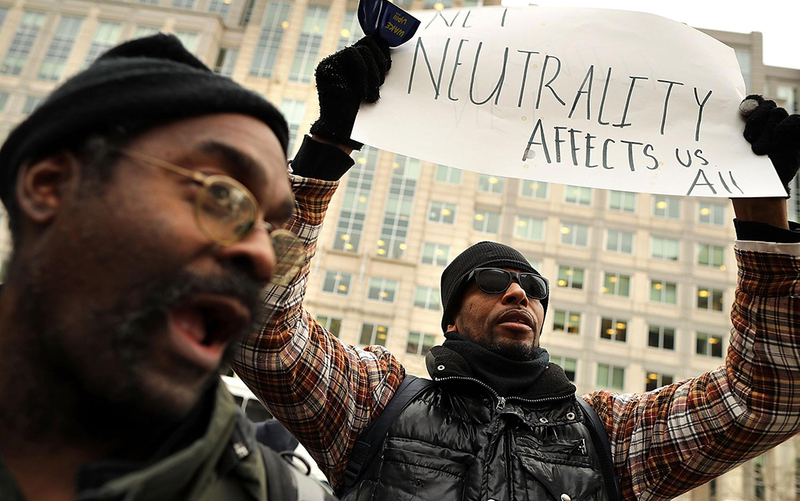 Net neutrality is the idea that all legal internet content should be treated equally by internet service providers. Comcast, Verizon and other web services, the thinking goes, are conduits to the World Wide Web and should abide by certain rules. They shouldn’t speed up, slow down or block certain sites, for instance. Net neutrality has become a rallying cry for web advocates looking to defend what they call the “free and open” internet. The theory is simple to lay out, but in practice it’s a more complex debate. The Federal Communications Commission is reversing a 2015 order that imposed stringent rules on broadband. What’s happening now, and why is the debate so heated? The FCC, which has new members appointed by President Trump, argues that paid prioritization (so-called fast lanes) and other practices could benefit consumers and shouldn’t be banned outright. The new rules switch the web back to a lightly regulated information system and scrap the regulations that barred blocking or throttling legal content and banned fast lanes. What’s left is a transparency rule that forces web providers to disclose their business practices to customers if they block or throttle online data, or if they strike deals to speed up certain content via fast lanes. Many consumers don’t think too highly of their cable or internet service provider. In a 2017 customer satisfaction survey, cable companies and ISPs ranked dead last among 43 industries. Consumers also recoil at the idea of having their unfettered access to the internet change drastically. Plus, many customers find competition for high-speed home web service lacking, and they worry about broadband providers hiking prices or rolling out unfair practices. The debate has incited both sides of the political aisle, with Republicans cheering the regulatory rollback and Democrats fiercely opposing it. Who will police bad behavior? The FCC says that the move reinstates the Federal Trade Commission’s authority to police deceptive or unfair practices, and that state attorneys general still can crack down on companies for breaches of their terms and agreements. The FCC also points to the antitrust tools that the Department of Justice can use to crack down on future anticompetitive behavior. The FCC can dole out fines to companies that fail to meet transparency requirements. If the rules take hold, internet providers would slowly but surely launch a new crop of money-making services. How will internet providers react to the new rules? If the rules take hold, internet providers would slowly but surely launch a new crop of money-making services. Expect fast lanes to crop up for services such as virtual reality gaming and telehealth. Cellular providers would launch more zero-rated plans, which let users stream certain apps and websites without hitting their data cap. These plans were at risk of violating the 2015 rules, so some providers were reluctant to offer them. T-Mobile, for instance, has used such plans to let customers use music-streaming apps and more. In T-Mobile’s case, no money is exchanged, but the apps must meet T-Mobile’s technical requirements. Will my internet cost more? It’s possible consumers will save money for some services. Offering zero-rated services for cellular plans makes streaming data cheaper. As cellular providers duke it out in a competitive wireless market, prices will stay low for mobile data. And next-generation 5G wireless technology should spur more competition in some urban areas. But the FCC rules will likely embolden more broadband companies to launch data caps for home service and charge extra when users go over their limit. What happens next? The fight over net neutrality is headed for another round of court battles, which could delay the new regulations from kicking in.